For many people who are unfamiliar with it, cryptocurrency may seem like a foreign or confusing topic. In reality, however, it is simple to understand the concept and how it works. Cryptos have become increasingly popular since their conception, thanks in-part to the success of Bitcoin and its ability to prove that the concept of blockchain-based cryptocurrencies could actually work in the real world. Technology is constantly advancing, and cryptocurrency is one byproduct of that advancement. This new type of virtual currency offers people a medium of exchange for secure and seamless transactions, and to many it has become the preferred option over traditional banking methods. Cryptocurrency is simply a term used to describe any form of virtual currency that exists online. 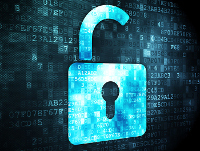 Through cryptography (code), cyprotcurrency can guarantee safe and anonymous transactions to those who use it. What makes cryptocurrency so intriguing is that because they are built on independent, decentralized blockchains, they exist on their own without any influence from any one central authority. In theory, they are immune to government interference or manipulation and exist solely on the internet through the cooperation of their users. Cryptocurrencies mimic precious metals in that they are designed to gradually decrease production of currency by limiting the number of units created. This is done by placing an ultimate cap on the amount of currency that will ever be in circulation. Present day cryptocurrencies did not become publicly recognized until recently in the past decade, however, their roots date back to the 1990s. A computer engineer named Wei Dei published an anonymous, distributed electronic cash system in 1998 and the first cryptocurrency was created shortly after. It was at this time that Nick Szabo created “Bit Gold”, which is similar to the cryptocurrencies we are more familiar with today. 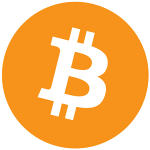 Bitcoin became the first decentralized cryptocurrency in 2009 and was created by a developer known as Satoshi Nakamoto. The true identity of Satoshi Nakamoto remains unclear. 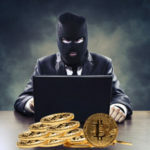 There is no record of someone named Satoshi Nakamoto who claims to have developed Bitcoin, which means that the creator of the network remains anonymous, much like its users. Nakamoto has claimed to be a man living in Japan but that has yet to be proven and many still believe that the creator of Bitcoin is in fact a group of people operating under a pseudonym. Although there are a number of cryptocurrencies that have since been created, Bitcoin remains, arguably, the most popular. In 2011, Namecoin was introduced and formed a decentralized Domain Name System, which made internet censorship very difficult. 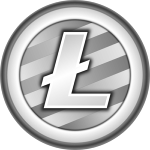 Following the creation of Namecoin, Litecoin was released. Litecoin is nearly identical to bitcoin and is the fith-largest cryptocurrency. In 2012 Peercoin, also known as PPCoin or PPC, is the fourth largest minable cryptocurrency. Since the creation of the earliest virtual currencies, the internet has seen the number of different cryptocurrencies increase by hundreds. Understanding the complexity of a cryptocurrency and the network it operates on can be very difficult. It is important to keep in mind that the concept as a whole can be understood as simply as any other currency network. There is a lot of technical terminology that can confuse those trying to really grasp the concept of how virtual currency works. For that reason, this article will focus on simplifying these concepts in a way that everyone can understand them. All cryptocurrencies exist on a Peer-to-Peer network, which allows the users to share files, or in this case currency. The absence of a central server or financial institution to maintain record of payments on the network is what makes cyrptocurrency different from any other currency system in the world. There are no banks or government keeping record of these transactions. There is no real authority in place, leaving this responsibility solely up to the users on the network. All digital cash networks require a payment network with accounts, balances, and transaction. In order to prevent “double spending”, a central server must exist to keep record of the account balances. Double spending is something that can occur whenever digital cash is involved. Double spending is defined by one entity spending the same amount of money twice. In decentralized networks, such as those that cryptocurrencies operate on, there is no central server blocking users from double spending. 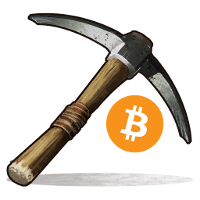 Miners act as the central server by providing the computing power to verify all cryptocurrency transactions. Whenever two peers complete a transaction on the network, that transaction is available for anyone on the network to see. A transaction isn’t set in stone until confirmed, and once it is confirmed it becomes a part of the cryptocurrency record, known as the “blockchain.” To continue confirming transactions and adding the blockchain, some users, referred to as miners, will offer up a large amount of computing power to help crack the code needed to complete the process. You’re probably wondering why someone would voluntarily offer up their time and invest money to verify other peoples transactions. The answer is simple: money. Miners go through the process of verifying transactions and adding them to the blockchain because the network rewards them with a certain amount of cryptocurrency. All of this is completed through a process called the Proof-of-Work. The Proof-of-Work has the miner find a product of a cryptographic function that connects the new block with its predecessor. Think of the network transactions as a puzzle that miners are trying to complete for a reward. As mentioned previously, there is only a limited amount of cryptocurrency created, therefore leaving only a limited amount that can be mined. For this reason, the reward for miners confirming transactions slowly decreases over time, while the difficulty increases. The theory is that this will help cryptocurrencies retain their value. Cryptocurrency is a term used to describe a variety of virtual currencies. Just like real money comes in many forms, such as Euros, U.S. Dollars and Pounds, cryptocurrency exists in a number of virtual currencies. As of May 2017 there are hundreds of different cryptocurrencies and nearly all are similar to or derived from the original Bitcoin. The following virtual currencies are the five that are most popular currently, based on userbase and market cap. Arguably the first and most popular cryptocurrency is Bitcoin. As discussed previously, Bitcoin is a peer-to-peer digital payment network that utilizes a blockchain ledger to record transactions. Bitcoin first burst onto the scene in 2009 and its creator remains unknown. Cambridge University recently released a study that found that out of the more than 3 million unique users who are actively using a cryptocurrency wallet, that most of them are using Bitcoin. Since 2013 the cost of one Bitcoin, or 1 BTC, has increased by nearly $2,500. The popular cryptocurrency, Ethereum, is very similar to Bitcoin in that it operates on a peer-to-peer network with a blockchain ledger. An important difference, to note, is that Ethereum processes transactions as well as contracts and programs. 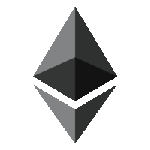 Ethereum was initially developed by Vitalik Buterin and was launched in July of 2015. In 2016 there was a major dispute regarding a $50 million claim that caused a great deal of controversy on the network. 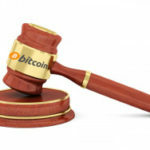 The dispute led to a decision made by the developers that separated the network into two separate block chains, which has since split Ehtereum into a number of other ‘cloned’ cryptocurrencies. Ripple operates much differently than traditional cryptocurrencies like Bitcoin or Ethereum. Ripple does not rely on a blockchain ledger, but rather the consensus of members of the network. This process requires a lot less electricity and computing power, and can be completed much quicker than mining. Ripple does have its own currency, XRP, but this currency is used to represent a number of arbitrary currencies and does not hold any value. In other words, Ripple acts as a transfer of debt or an IOU. Monero was created in April of 2014 and is based on CryptoNote protocol, which is significantly different from the traditional blockchain process. The process replaces the documented blockchain with something called ring-signatures, which in theory gives users more privacy. The main difference between Monero and other cryptocurrencies is the processes it goes through to ensure that users transactions are safe and anonymous. Litecoin is the fifth largest true cryptocurrency by market capitalization and was one of the earliest forms of cryptocurrency when it was introduced in 2011. Developed by a former Google employee, Litecoin offered a slightly different option for cryptocurrency, with a decreased block generation time and an increased maximum number of coins. Litecoin was most recently in the news in May of 2017 for completing a transaction of 0.00000001 LTC from Zurich to San Francisco in under one second. There are a number of appealing attributes that cryptocurrency possesses. People across the world have become infatuated with technology and the way it can simplify their lives; cryptocurrency is a perfect example of this. Through the use of virtual currency, people have been given the tools needed to conduct transactions that would otherwise jeopardize their personal information, incur transfer fees, or inconvenience them in other ways. Cryptocurrencies are a great way for people to transfer funds without fear of jeopardizing any personal information. Every type of virtual currency offers anonymous transactions, with little to no personal information needed. However, some people may still remain skeptical about the legitimacy of a system that exchanges a currency that isn’t tangible and lacks a central authority. An additional benefit to using cryptocurrency is that it requires small or no processing fees. Users can transfer money without the influence of a financial institution or bank, which would charge steep fees for wire transfers. Most cryptocurrencies reward miners for their work to complete the computing process it takes to continue the blockchain by giving them a small amount of whatever virtual currency they are working with. Since cryptocurrencies have a limited number of units in circulation, the reward for this computing becomes more difficult to achieve and slowly decreases over time. Cryptocurrencies are often thought of as the gold and silver of the internet. There are a limited number of units in circulation, which is what drives their value. No one can deny that cryptocurrency has seen a staggering amount of growth despite only being introduced less than a decade ago. As the value continues to climb, these virtual currencies are gaining more and more supporters, including banks and other businesses. While there is no certainty that this trend will continue, it is safe to say that cryptocurrency has legitimately established itself on a global scale.